Best technical analysis course focus on the basics of NSE technical analysis module. Over the past few years, technical analysis has become incredibly popular. As more and more traders/ investors believe that the historical performance of the stock is a solid indicator of future performance analysis. The use of past performance should come as no surprise. While the market is known to shift as per predictable trends and patterns. However, these trends do not change until a change in price levels. Technical Analysis not only helps you understand the profit target but also acquaint with trading risk. IFMC teach the secrets of successful traders. 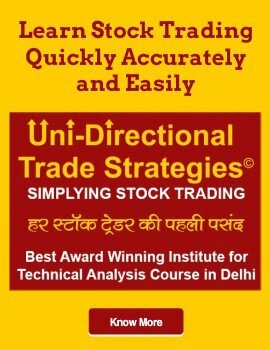 This comprises of unique ideas to trade in Intraday, Swing trade, Short term delivery, Futures & Options. 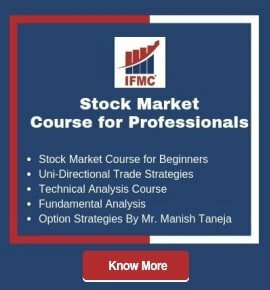 Subsequently, these help traders to develop smart stock trading techniques. In fact, the course is different from a regular technical analysis. Because our studies are based on logic as well as easy mathematical formulas. After all, can be applied by traders, Brokers, and Fund Managers. 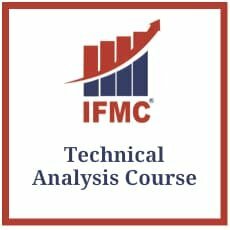 Why Choose IFMC Institute for Technical Analysis Training? 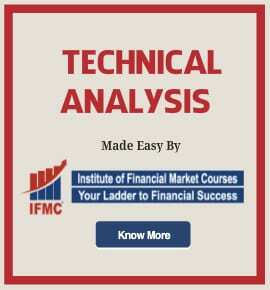 IFMC brings you NSE technical analysis course for students seeking to become a technical analyst and day trader. These types of courses will improve trading and portfolio management skills. Overall, it will help you to make better trading decisions. Technical Analysis Course offers intensive training on how securities, the price of equities, commodities etc. The program covers basic as well as advanced concepts of technical analysis. It also focuses on the study of the past behaviour patterns of the markets and how to exploit that information to make money while avoiding losses. Students will learn unique strategies for entry and exit while boosting risk management skills. By the course is finished, students will proficient to become a short-term trader. 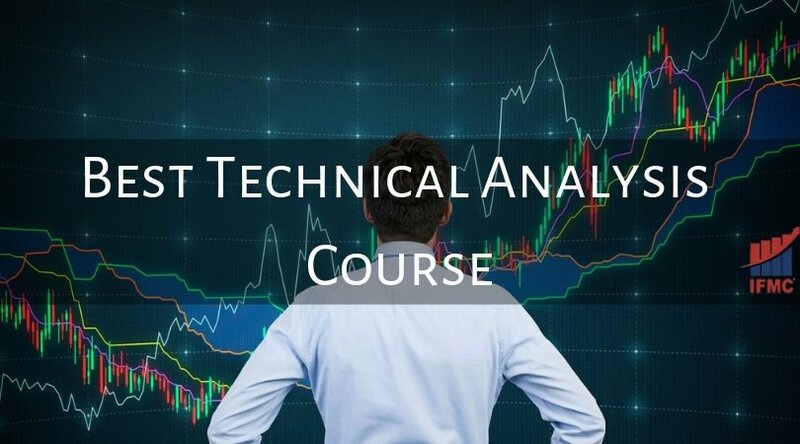 Our best technical analysis course in Delhi NCR give students an extraordinary opportunity to do technical analysis using prominent tools and techniques. Technical Analysis module is an important Module for anyone who wishes to be a part of stock market and one can predict the price moments in the market. The examination ensures that the person has minimum knowledge in this market. NCFM Technical Analysis Examination Technical Analysis Module is Important Examination for those who wish to become Technical Analyst and acquire minimum knowledge to predict price movement with knowledge of Technical one ensures to get a better understanding of profit targets and also make you aware of risk involved in the trade. 1 : NCFM Technical Analysis Examination. 2 : This Mock Test Has 208 Questions In Total. 3 : These Practice Papers Gives You A Real-Time Feel. 4 : You Get The Correct Answers And Also The Explanations. 5 : Actual Examinations At NSE Will Have 60 Questions. 6 : There Will Be Negative Marketing Of 25% Of Marks. 7 : Passing Score At Nse is 60%. 8 : Aim Of Mock Examination Is To Give Candidate On Experience Of Ncfm Testing System. 9 : After Taking These Mock Test You Will Be Confident And Prepared Enough To Clear The Exams. IFMC institute is an award-winning institute for financial market education. It offers a unique platform for students to learn technical analysis. We offer NSE certification in NISM and NCFM modules. After completing the course students can find several employment opportunities in Indian Stock Market including NSE, BSE, SEBI. However, we provide the benefit of expert instructions with the convenience of any time and anywhere access with online technical analysis course. With a growing number of options, traders can also enroll in different courses. For instance, fundamental analysis, research analyst, commodity market, equity derivative, etc.